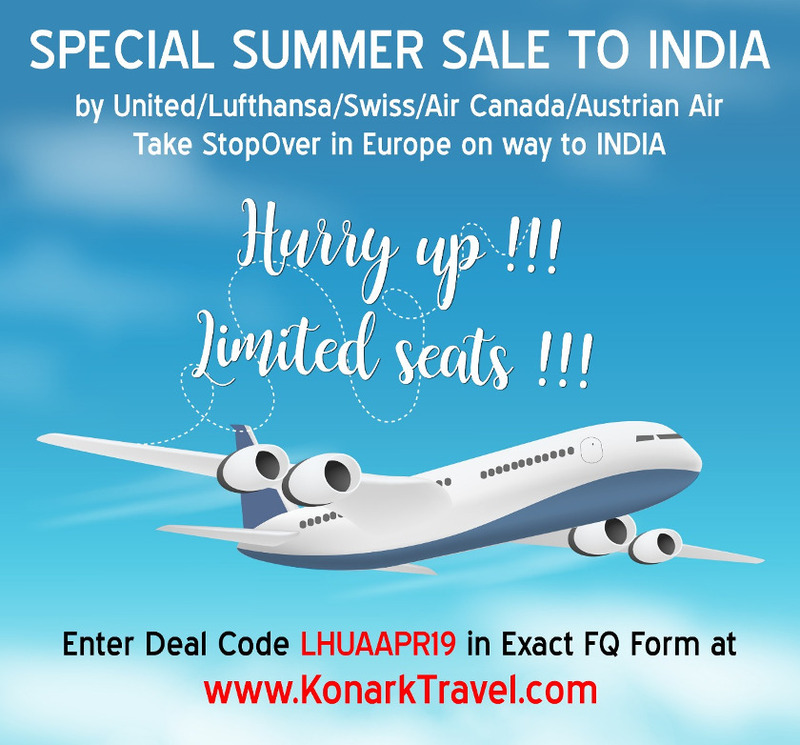 SPECIAL SALE FARE TOINDIA IN SUMMER inLufthansa/United/Air Canada/Austrian/Swiss Air. Take a break/Stop Over inEurope at Frankfurt/Munich/Zurich/Vienna. LOWEST FARE FOR SUMMER TRAVEL!!!! !